Alexis LAFRANCHI is one of the Partners of the Study HELVETICA AVOCATS. After seven years of expatriation in Cairo – Egypt, Alexis LAFRANCHI carried-out his law studies at the University of Fribourg (Master of law), further to which he completed an in-depth training in mediation, which concluded in his being accredited with the Swiss Chamber for Commercial Mediation (SCCM) and the Swiss bar association (FSA). 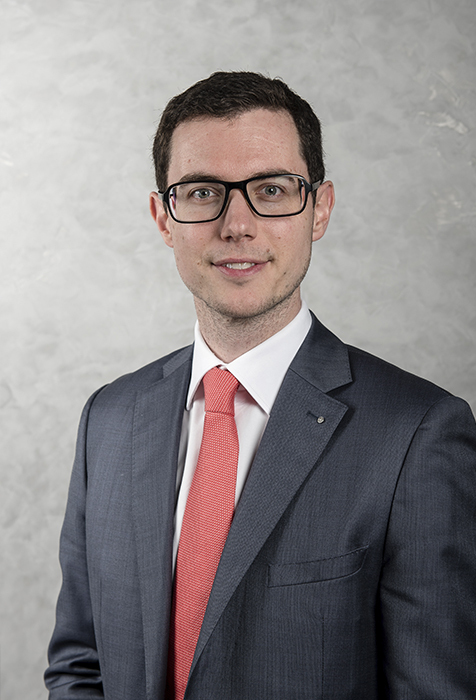 After a successful legal traineeship with CMS VON ERLACH PONCET SA (previously ZPG CARRARD GRUMBACH LÜSCHER PONCET), Alexis LAFRANCHI was admitted to the Bar in May 2010 (3rd place) and then was hired by ALTENBURGER LTD legal + tax as an associate. He left the latter in August 2013 to set up S & L AVOCATS in Nyon with Pritam Singh, an old friend. family office (settlement in Switzerland, lump sum taxation, wealth structuring, etc.). Of French mother tongue, Alexis LAFRANCHI is also fluent in both English and legal German, with some notions of Italian and Spanish. Husband and father, Alexis LAFRANCHI plays an active role in many non-profit organisations, especially the Swiss Chamber of Commercial Mediation (SCCM), the Round Table 20 Nyon La Côte and the Charity Miracles. Alexis LAFRANCHI is a member of the Vaud bar association (OAV) and the Swiss bar association (FSA).